I am going to Paris in T-minus two month! 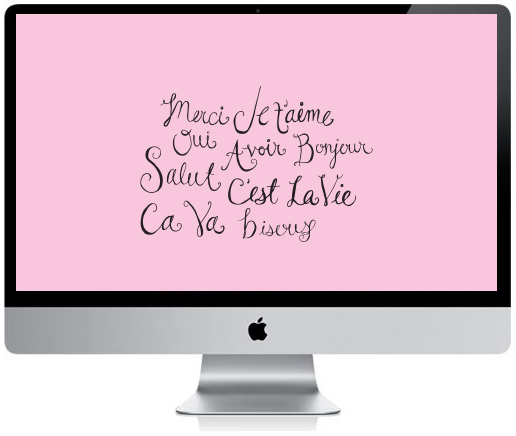 To practice my french and hand writing I created this typographic desktop over the weekend. It’s available in light pink or black. Click here for the black version and here for the light pink version. If you’re following me on Instagram you may have seen this photo already. I love seeing process photos of how something is made—thought you might enjoy the same! I started with pencil and then used a Paper Mate flair pen to fill in the lines. I also love the Pigma Micron pens, if you haven’t check those out yet, they’re are a must for fine lines! 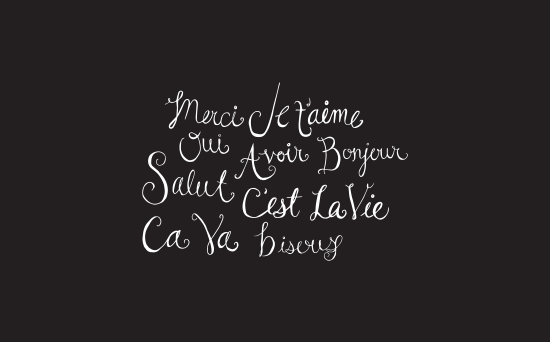 Let me know if you guys are interested in these desktop downloads and I’ll keep them coming! How EXCITING that you are going to Paris! That will be amazing! Your creativity is astounding! this is gorgeous!! so awesome you get to visit paris soon! 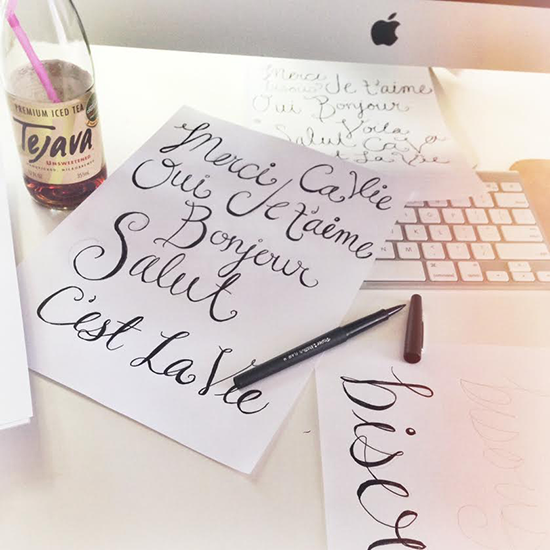 Love these desktop downloads, Im always looking for something new to rejuvenate my background! So cute! You are super talented! Keep ’em coming! I had to stop here and say a HELL YEAH to more desktop prettiness please!